To ensure our guests are well taken care of, tables of two are allocated two hours of dining time and tables of four or more are allocated 2 1/2 hours. If you require more time, please let us know at the time of booking and we will be happy to make the necessary arrangements. 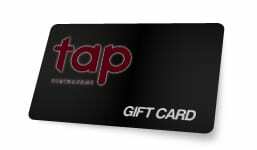 Email Us at events@taprestaurant.ca to book a party of ten or more guests.